This morning copies of the book arrived! 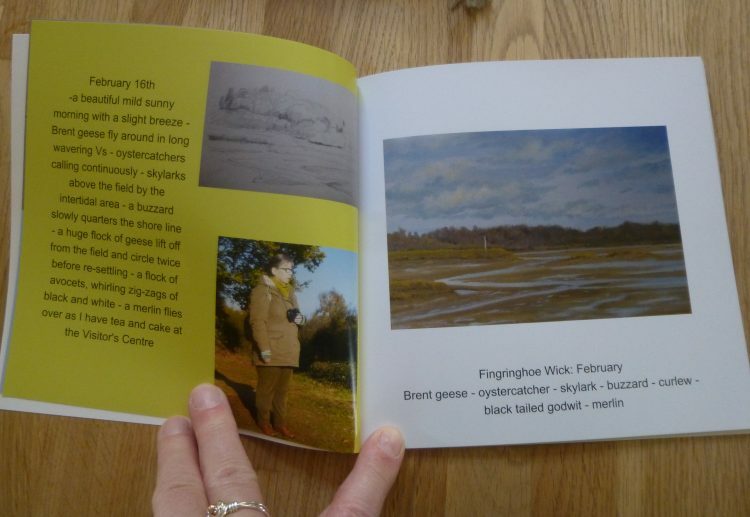 The book of my 2017 painting project, A Year on Fingringhoe Wick, which I made using Blurb, the online publishing site. 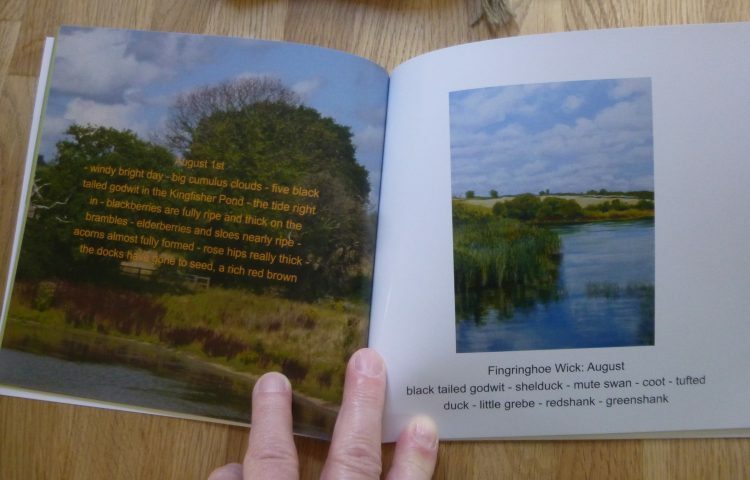 I’ve only bought four copies to begin with – having learned from my last book, Twelve Months in an Essex Wood, that however many times you check there will always be an odd mistake that creeps in and needs editing . . . Here are a few pages to give you a little peep inside. Each opening is concerned with one month. On the left hand page I’ve put the notes I made on that monthly visit, along with either a drawing I made that month, or a photo that I took, or both. 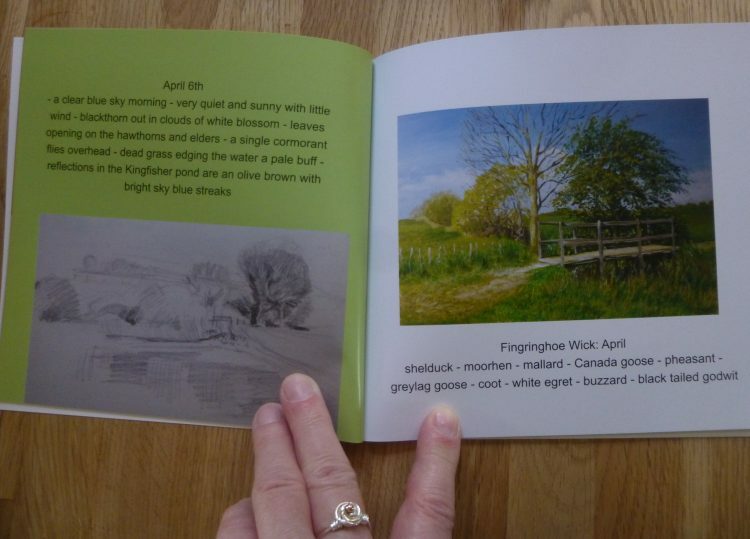 On the right hand page is an image of the month’s painting, with a list underneath of the birds that I saw. I also played around with some background colours, and different layouts on the left hand pages. The whole book is more varied that the Essex Wood books were. They will ‘launch’ at the All Saint’s Arts Festival at the end of May, selling for £15.00. Did you see last night’s super moon? How spectacular it was. 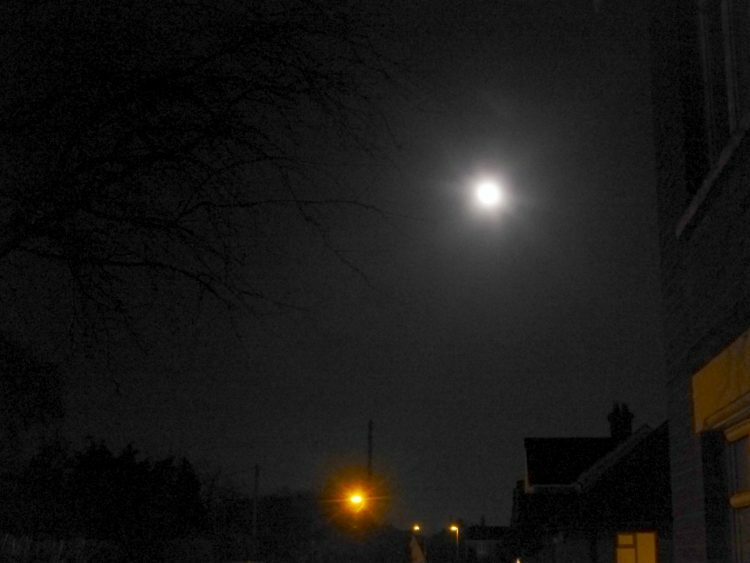 This is a rather blurry photo of it from my front garden. I first saw it across the fields as I drove home from my seaside outpost at about 5 o’clock, looking so huge and so bright. Back in my studio this afternoon, I’ve been cracking on with the first painting in my ‘Four Seasons on the Stour’ project. This one is of the Stour estuary at Wrabness, looking across to the Royal Hospital School at Holbrook on the Suffolk side of the estuary. 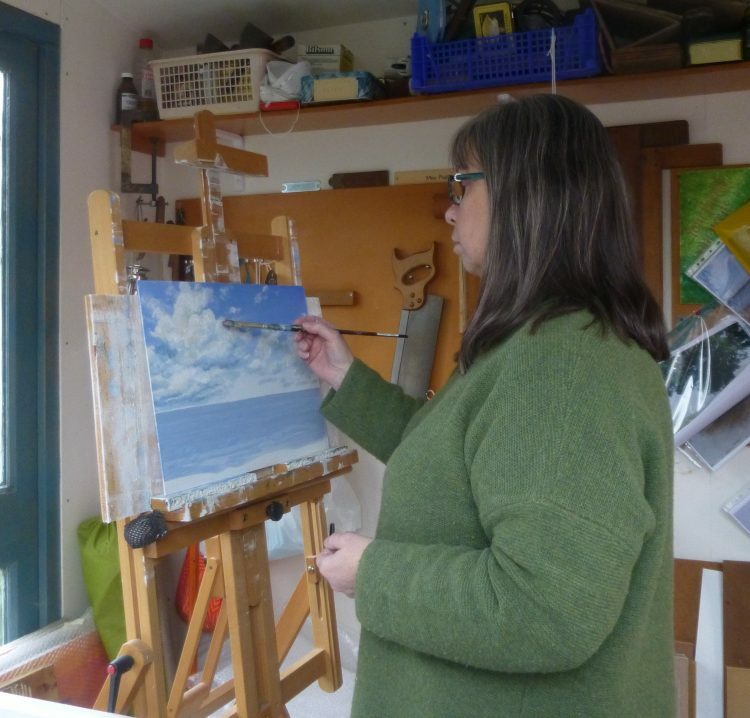 At the moment I have almost finished the sky, put some background colour on to the estuary, but the actual far bank is not there at all yet!